Lack of TCMS V2 database maintenance will cause buffer overflow, which will trigger errors during data retrieval from Webster. When this happens, the software will not be able to display attendance data. 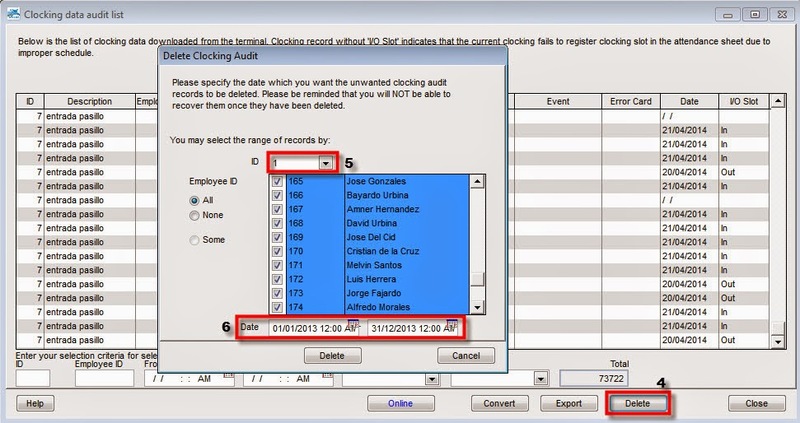 If your attendance data are linked to payroll, the absence of the data will definitely disrupt payroll calculations. This problem is avoidable by simple maintenance of the software. Open up the TCMS V2 software. Go to Devices Tab > Terminal Data Audit List. 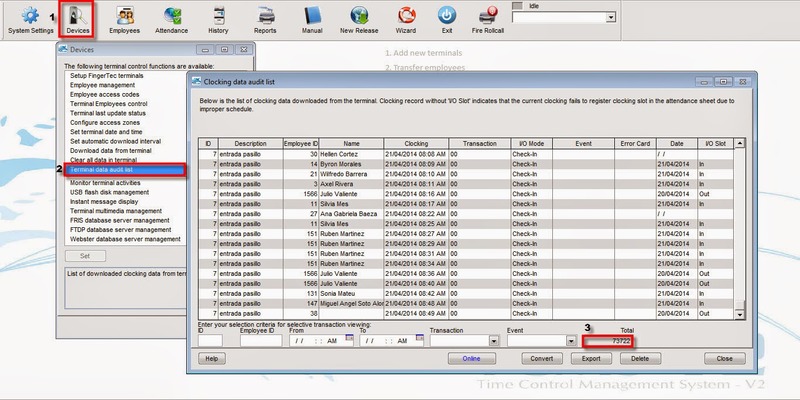 Check the total transaction at the bottom right of the ‘Clocking Data Audit List’ window. Once the total transaction passes the 8,000,000 mark, the data MUST be purged for the software to be able to retrieve data from Webster without any issue. Click Delete button > Select which terminal you want to delete the data from > Select the duration of the data to be deleted > Click All. Repeat the steps above for all readers until the data is cleared. IMPORTANT: PLEASE REMEMBER TO ALWAYS PERFORM DATA HOUSEKEEPING AND KEEP YOUR DATABASE IN CHECK TO MINIMIZE DATA TRANSFER ERRORS.